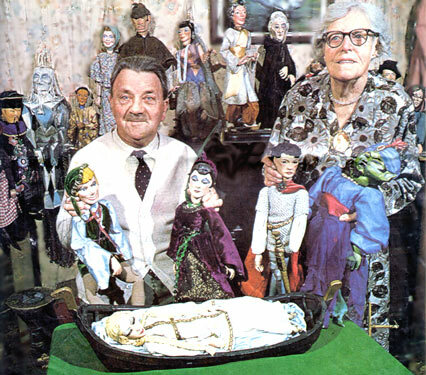 This photograph from the 15th January 1976 edition of "The West Sussex Gazette and South of England Advertiser" shows puppeteers George & Elizabeth Wills at their home in Worthing, with some of the cast of 100 characters from their many marionette productions. At the time this photograph was taken, George was 81 and Elizabeth was 82 years of age and they were still giving performances, making new marionettes and scenery and writing new shows. 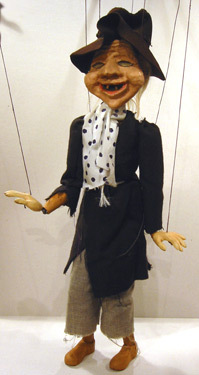 George & Elizabeth started their interest in puppetry in the mid-1940s when George was an Insurance Broker with Lloyds. 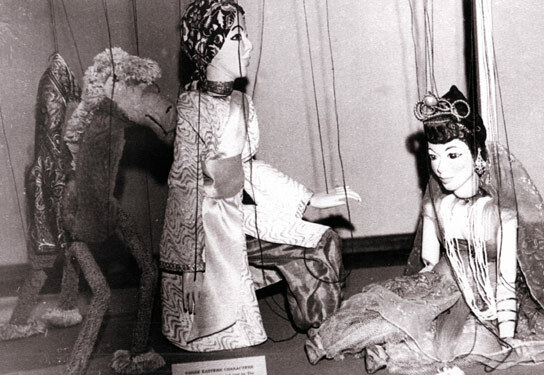 Their marionettes played a big part in their lives both before and after they retired to Worthing. Tramp marionette made by the Wills' Brother.